Pick Me! How to Make Your Resume Stand Out! Choose the right keywords. When shortlisting resumes, the employer will use either a computer or a human to screen for keywords that are requirements for the position. 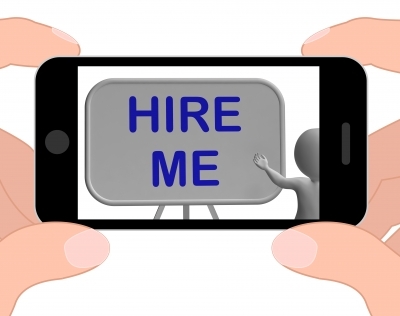 If the relevant keywords are not on your resume, it might as well be invisible. Use the job advertisement and your knowledge of the position to identify potential keywords and make sure that they can seen by a quick scan of your resume. Pay attention to the layout. Appearance counts with your resume. Managers will give more time to a resume with an attractive layout than they will to one that’s just a jumble of words. Allow for sufficient white space and include clear subtitles and sections. However, don’t get too fancy; your goal is a simple layout that makes your resume easy on the eyes. Customize it for each position. Sending out a large number of generic resumes is not an effective job search strategy. Most employers will see it for what it is; spam. Consider the message you are sending with such an approach. You are essentially telling the employer that you would like to work for them, but you are not willing to spend the time it would take to speak to them directly. Conversely, when you carefully study the job description and create a resume and cover letter that is unique to that employer, you can show them why you are the best fit for that specific position and you are demonstrating your enthusiasm for both the job and the organization. Use numbers to quantify your achievements. Don’t tell the employer how amazing you are; show them! Vague declarations like, “Excellent customer service skills” are weak, but specific statements like, “increased customer satisfaction by 30% over a 6 month period” are strong. When you demonstrate your skills by using quantifiable examples, you appear more credible and you are more memorable. Focus on the employer’s needs. It is important to always keep the employer’s needs at the forefront of your mind when creating your resume. Carefully study the job description, review their website, and learn about the industry so that you get a sense of the problems that the employer needs to solve. If you can present yourself as the solution to their problems, they will be eager to make you an offer. Proofread! Mistakes on your resume can be an automatic deal breaker. They present you as a poor communicator and they suggest that your work is sloppy. Read and reread your resume to make sure that you catch all those little mistakes. You might even consider asking someone else to review it in case you missed something. You could be the most skilled applicant for a position, but if you are not strategic about your resume, it will be ignored. However, if you put in a little bit of extra effort, you may be surprised by the response that you get. Previous Article Are you Doing Someone Else’s Work?